Each Metal Shark has been designed to accommodate a wide array of mission requirements, and the easily trailerable, highly capable 18 Relentless patrol boat is no exception. 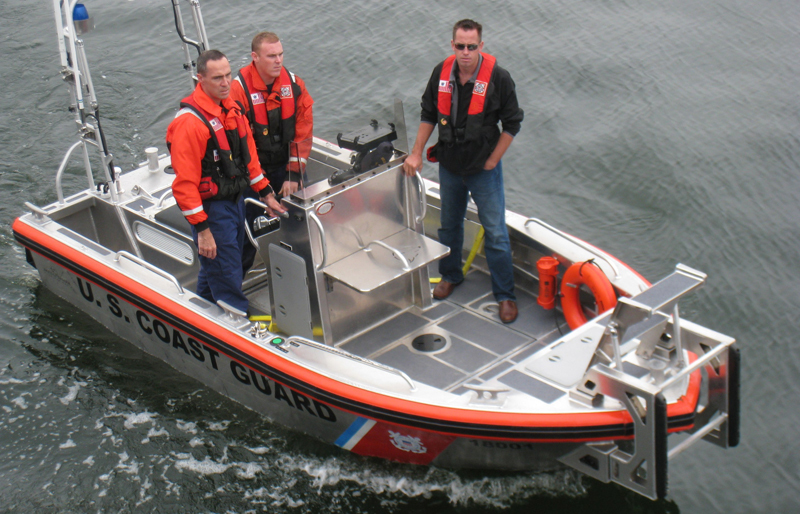 These reliable vessels are utilized by numerous state and local law enforcement agencies and fire departments. 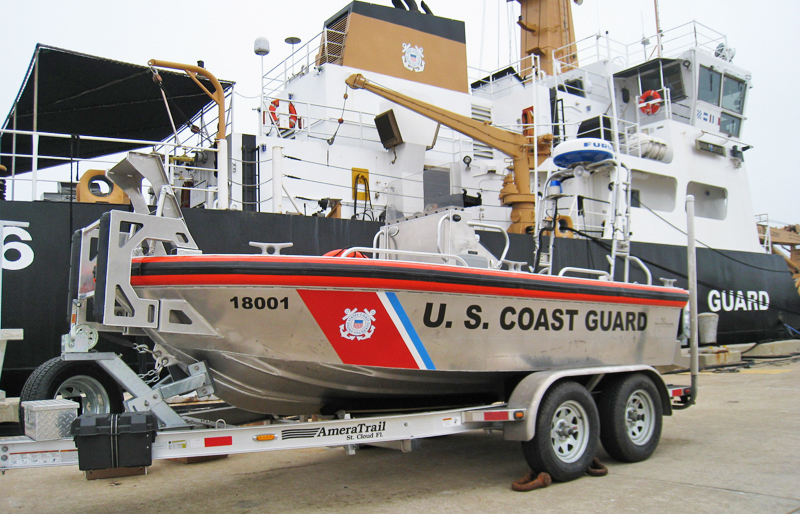 One of several Metal Shark models currently in service with the US Coast Guard, the 18 Relentless was selected as the platform for the USCG’s Cutter Boat – Medium. 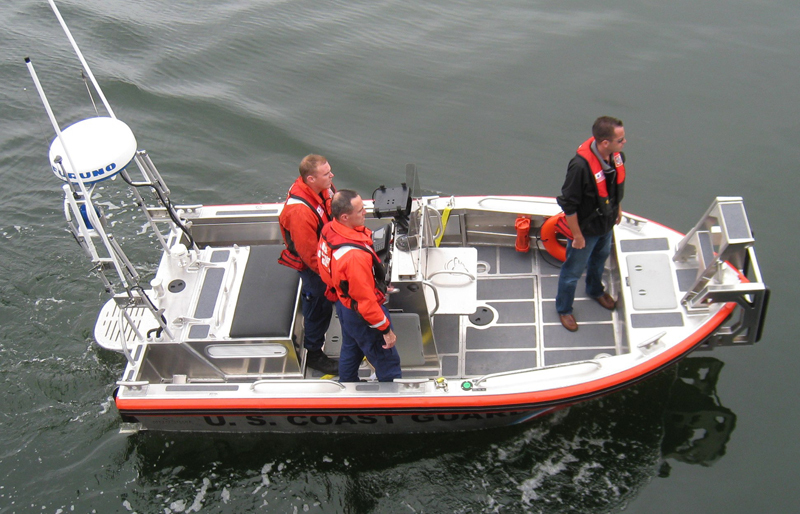 These durable workhorses are carried aboard the Coast Guard’s ATON (Aids to Navigation) cutters, where they are tasked with maintaining buoys, daymarkers, and other aids to navigation, as well as emergency response and recovery missions. With its unique progressive-deadrise hull design, the 18 Relentless can traverse the shallows with ease, while still providing a comfortable ride in rough seas. 100% digitally designed, router-cut, and precision welded using plates of heavy duty 5086 aluminum alloy, the diminutive 18 Relentless is rugged, tough, and ready to take on whatever comes its way. The 18 Relentless is shown here with diesel stern drive propulsion. Outboard power is also available. Like its larger Relentless-class siblings, this versatile 18-footer features a no-nonsense layout for easy unobstructed access from bow to stern. Forward, you’ll find a dive relief on both port and starboard sides, facilitating on-water boarding or personnel recovery operations. Like all Metal Sharks, the 18 Relentless can be fully customized to suit a wide range of mission requirements. The vessel has been design with law enforcement, security, and response mission requirements in mind, and boasts an available equipment list including dive tank storage, towing bits, gun racks, electronics packages, multiple seating options and more, Metal Shark will tailor the 18 Relentless to your agency’s exacting specifications.